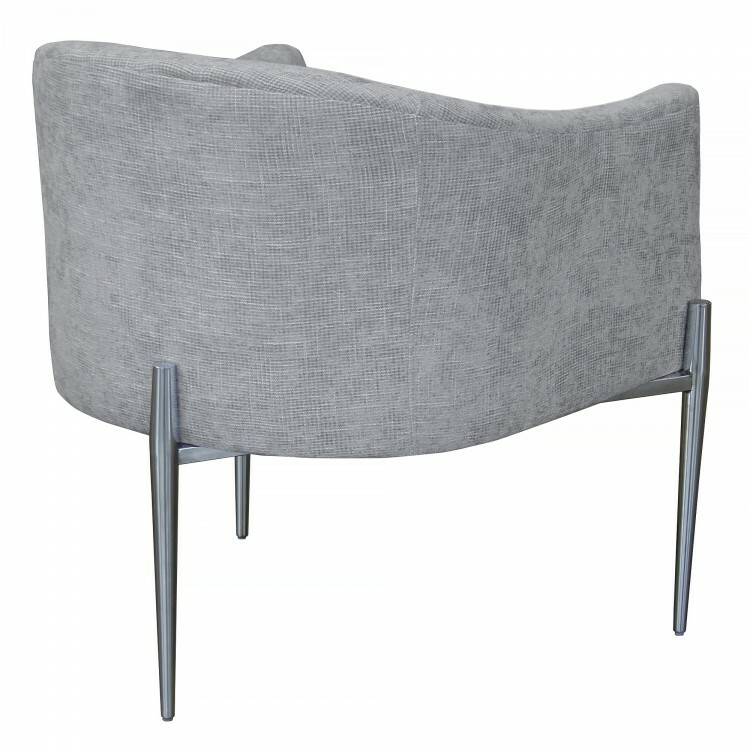 The Armen Living Jolie contemporary accent chair is a beautiful addition to the modern household. 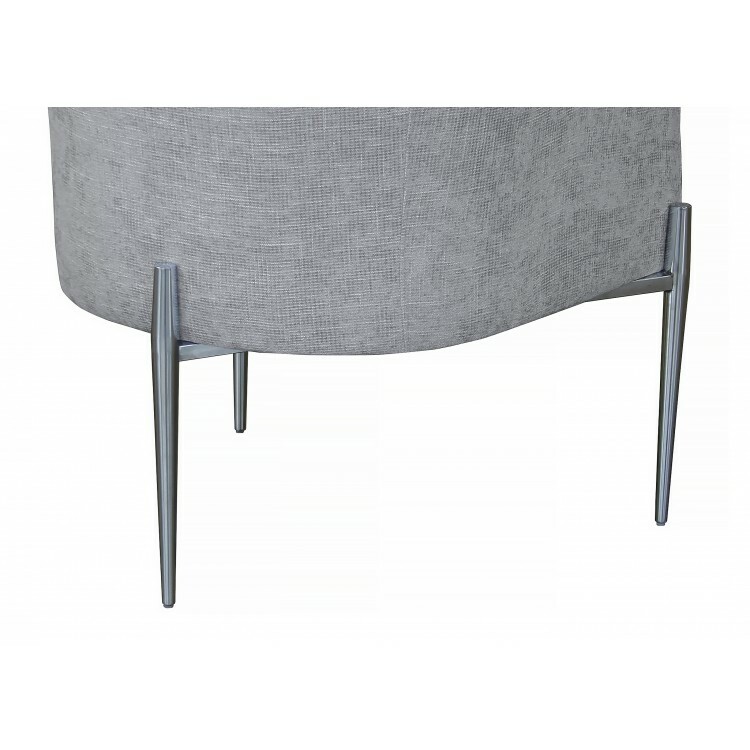 The stylish yet practical design of the Jolie's metal frame makes it a great piece for the living room, but versatile enough to fit in just about any room of the house. Featuring a unique tripod leg design and bucket seat, the Jolie is an ideal choice for anyone looking for a novel, yet practical living room addition. 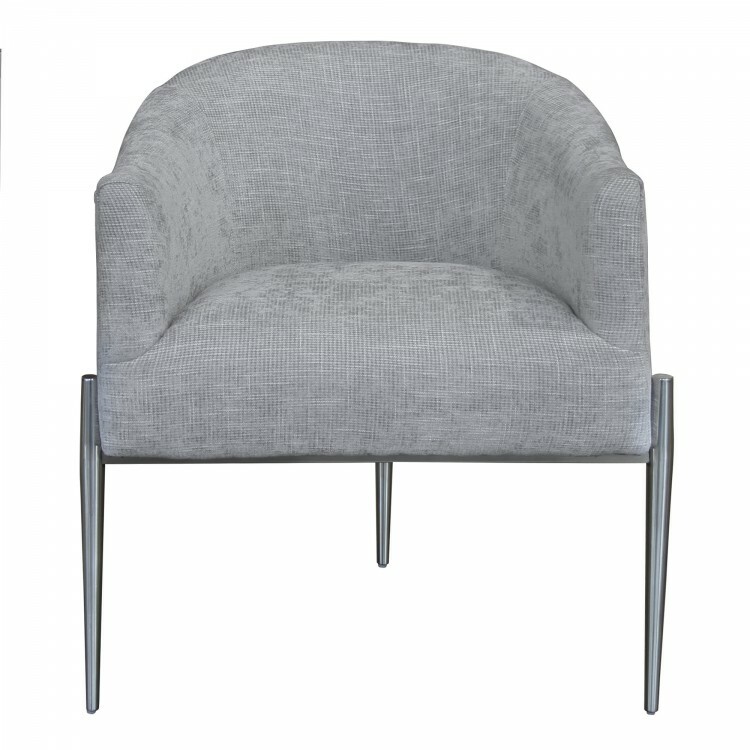 The Jolie's durable construction is accompanied by its plush fabric upholstery that is certain to leave you feeling comfortable. 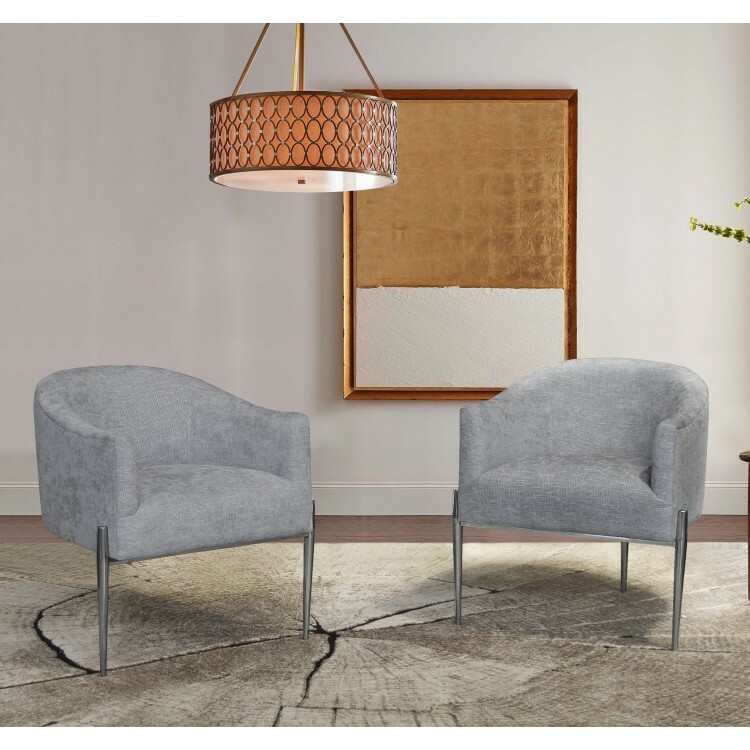 The Jolie accent chair is available in three styles; shiny gold finish with black fabric, polished stainless steel finish with silver fabric, and polished stainless steel finish with blue fabric. Product Dimensions: 25.5"W x 25.5"D x 29.5"H SH: 18"